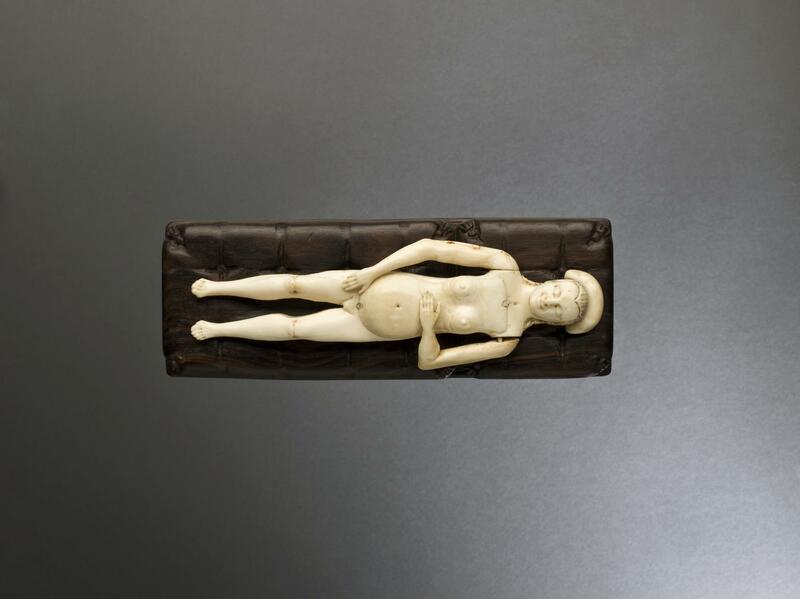 Ivory female anatomical figures were almost always shown as pregnant, like this example. 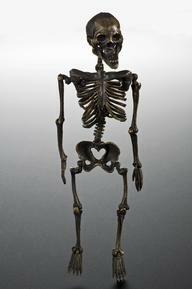 The torso is removable to show the intestines, heart, lungs, stomach and liver. 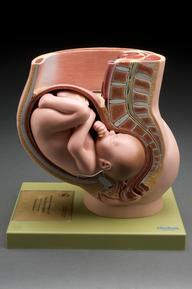 The intestines can also be removed to show a well developed foetus. 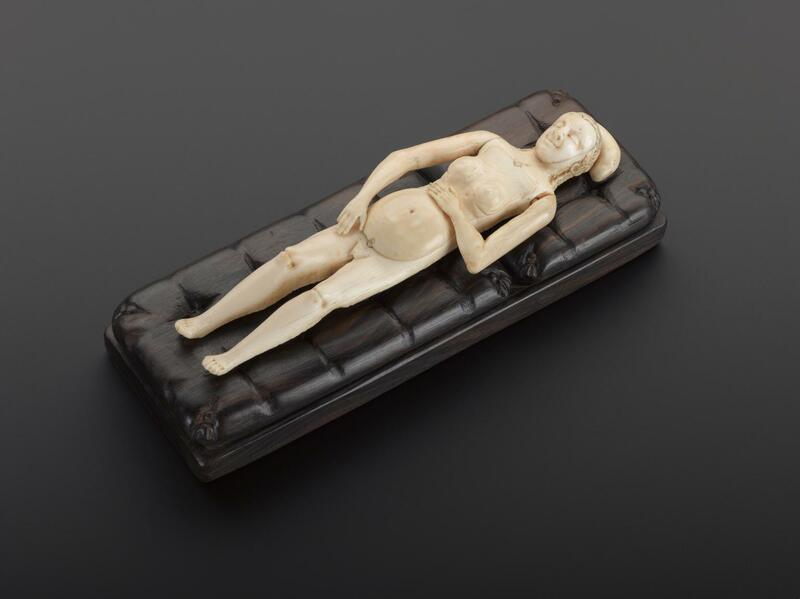 Female models normally came as a pair with a male equivalent and were popular in the 1600s and 1700s. 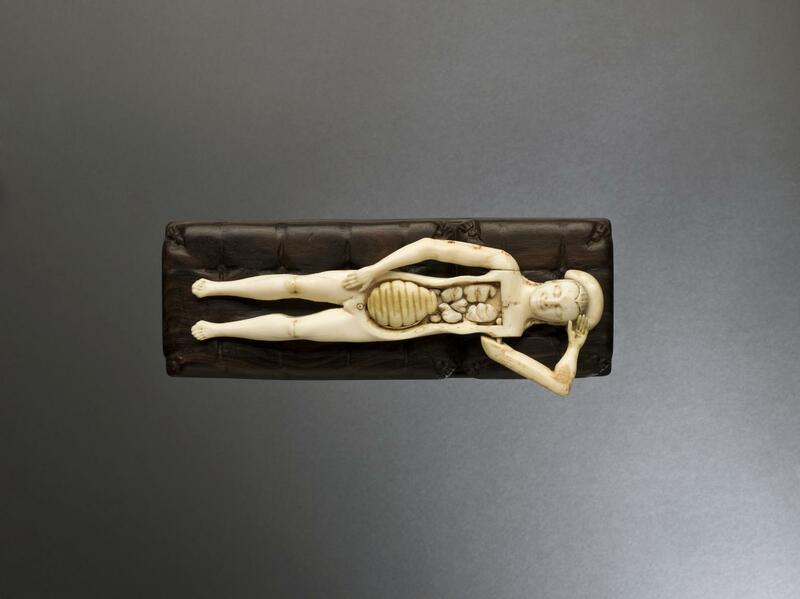 The organs are not very detailed so it is unlikely that the model was used for medical teaching. 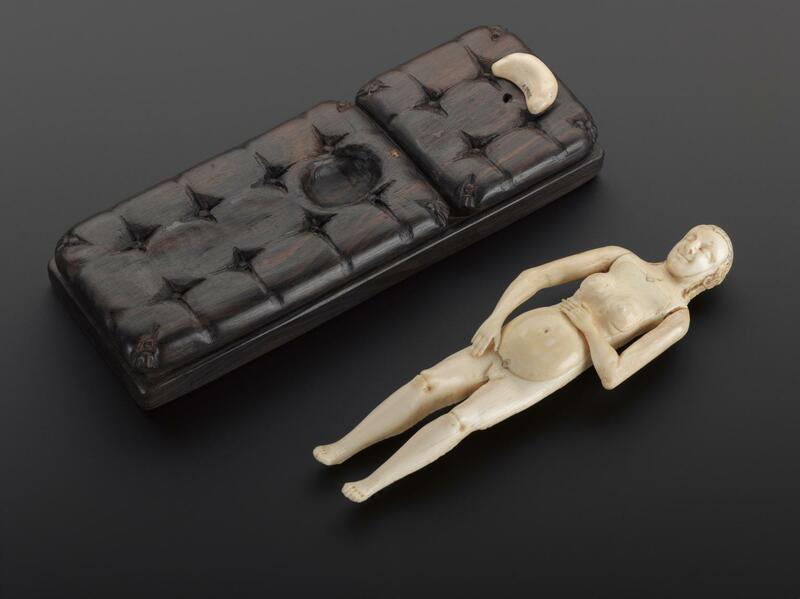 The figure was possibly used to teach young couples about anatomy and pregnancy or it may have been a collector’s item.